Man is basically instinctive by nature. It is our instincts which control our behaviour and actions. The instinct of fear is natural to a human being. When we see something dangerous or harmful, we get scared due to the natural emotion of fear. There is nothing wrong in being afraid as it is natural to all human beings. The problem arises when fear begins to overpower us or when it controls our thoughts, feelings and actions negatively. 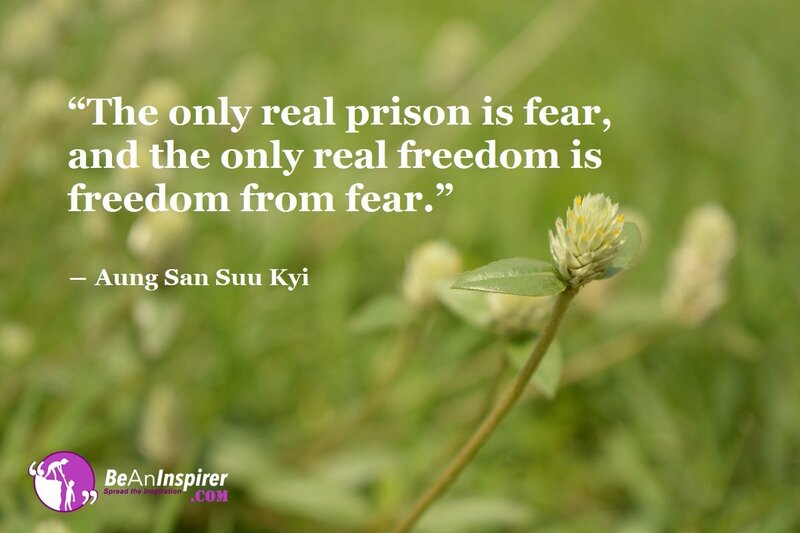 If fear becomes uncontrollable, it can play spoilsport with our personality and we end up being its lifelong prisoners. We become a puppet in the hands of fear and become its lifelong prisoners without any hope of freedom from it. If you take a close look at your day-to-day life, you will find that fear has been an integral part of it since childhood. It has always stayed with you during all situation and circumstances. In fact, fear was instilled into our personality by our elders who themselves had inherited it from their parents and elders. Fear has been passed on from a generation to generation in a calculated way. It is acceptable to the extent where it does not do any harm and serves as a much-needed restriction upon all of us. If there is no fear among people, anybody will do anything and there will be a complete anarchy and confusion everywhere. It turns into a negative and undesirable entity when goes out of control and begins to crush our very spirit and being. It is the negative aspects of fear which need to be overcome. If fear stops you from doing anything good or it becomes an obstacle in the way of your development, it is then a negative emotion within you which you must get rid of as early as possible before it takes its worst form. You must have experienced it for yourself that many times you didn’t do something merely because you were fearful of the result. A student who takes an exam finds his hands trembling out of fear despite the fact that he is thoroughly prepared for the exam. The worst form of fear is seen in the cases of suicide committed by people who did so to get away from the problems of their lives. Nobody can deny the fact that most of our problems in life are because of the ingrained feeling of fear which always prevents us from doing constructive things in life. Fear is acceptable only to the extent where it is natural and where it stops us from getting into danger. The moment it comes in the way of our development, it needs to be driven away so that we can progress as human beings. Remember! Self-imposed fear is the worst of all enemies as our foes in flesh and blood harm us less than we are harmed by the fear of being harmed. Never allow fear to overpower your soul or spirit. Wake up and overcome it to make your life a pleasant and successful journey.